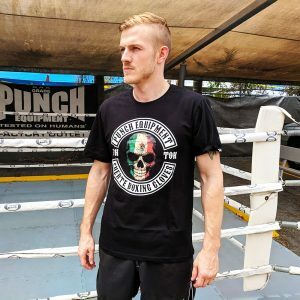 Why choose the Day Of The Dead Mexican ‘Fuerte’ T-Shirt? The New Day Of The Dead Inspired ‘Fuerte’ T-Shirt from Punch Equipment is here! 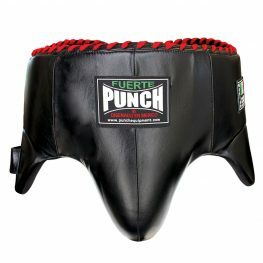 The comfortable stretch cotton fit is perfect for wearing in-and-out of the gym, especially when sparring in the ring! 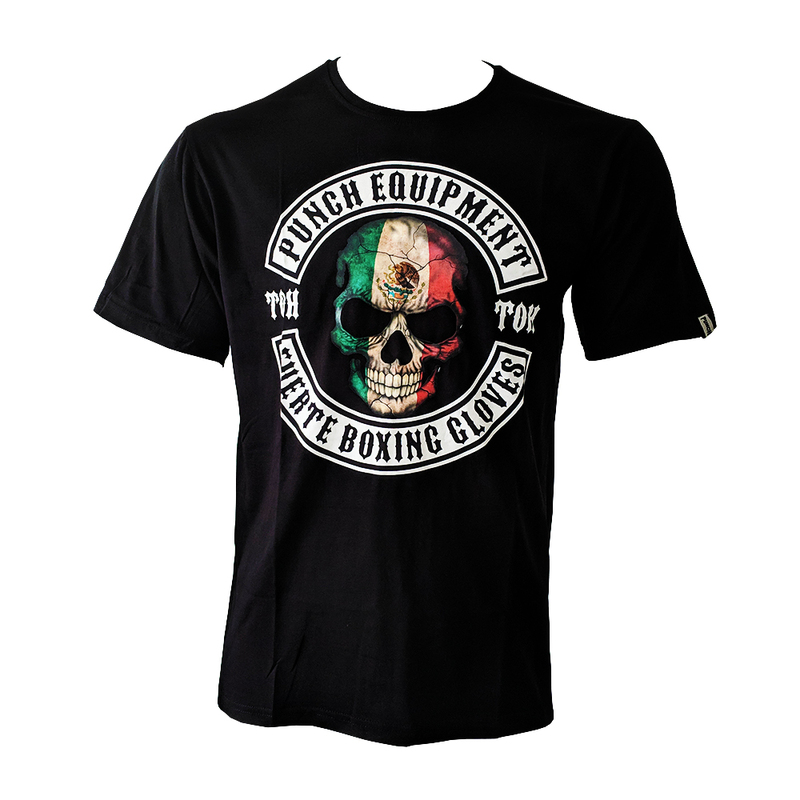 Available in S, M, L & XL! 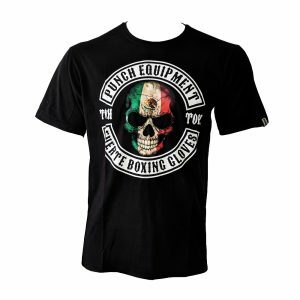 This shirt is also available as an add-on with every Mexican Elite ‘Fuerte’ Boxing Gloves purchase!